Now that half term is nearly over and the signs of Spring are starting to peek through, it's time to come out of hiding and treat yourself to a BootCamp! We've got 4 great courses coming up. Head over to our BootCamp page for all the details. From BoxFit to Cardio Pilates, and Body Sculpting to SkiFit, there's something for everyone. All of our Fit In The Park classes (except for our postponsed Monday nights) and Buggyfit sessions are running as normal. The forecast promises some lovely spring weather next week, so do join us in the park! Happy New Year from WIMBLEDON BUGGYFIT! We’re back in the park from tomorrow (Thurs 3rd Jan) for some great postnatal workouts with your little ones. We've been running Buggyfit classes in Wimbledon for nearly 13 years now, so we know what we're doing when it comes to getting new mums back into shape again! We offer FREE taster sessions. And once you've tried us out, you're then welcome to drop-in to any of our classes with no prior booking required. We have a really flexible and reasonably priced class pass system. We have no joining fees or monthly contracts. Perfectly suited for the unpredictable lifestyle of a new mum! Want to find out more or join us for a free trial? Just drop us a line and we’ll get back to you with all the details. Our Last Buggyfit Classes of the Year Tomorrow! Drop in for a free trial or contact us for more details. Our Friends With Benefits campaign starts today! This means that you can bring up to 3 friends along to any of our Buggyfit or Fit In The Park classes in December, for FREE! You can bring 3 separate friends or the same friend 3 times. All we ask is that you have a valid HA fitness Class Pass (either 10 or 20) and that your friend has not come to any of our classes in 2018. If they are an old client, who has come to classes in previous years, then bring them back into the fold, we'd love to see them again! If they are brand new to HA fitness, then now is definitely the time to introduce them to the great stuff we do! Have you got a friend that wants to exercise, but there's always an excuse? 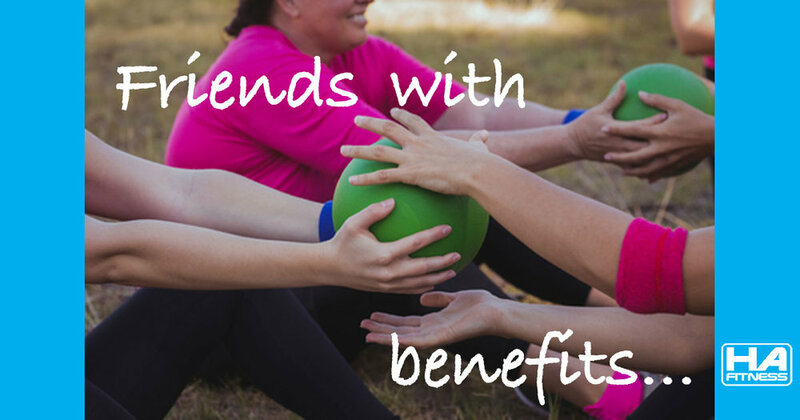 Have you got a friend that wants to exercise, but there's always an excuse? Well, with a chance to join us for free, the benefits outweigh the excuses. And they can get fit before Christmas! Avoid frantic Amazon searches, tedious queues & sardine-style shopping. Relax & breathe. We've got Christmas sorted with 3 very different gift ideas! Our very flexible HA fitness vouchers can be purchased for any value and used as full or part payment for personal training, classes, Boot Camps or a mixture of all of our HA fitness services. So whether you need a gift for a regular exerciser, or someone who'll appreciate being nudged in the right direction, we can help. And there's free delivery on all orders. Get in touch & let us know who you'd like to treat. Our most glamorous personal training client and Wimbledon's favourite stylist, Charlotte Broadbent, has a limited number of personal styling and shopping vouchers available this Christmas. Charlotte says... "Discovering your true colours and most flattering shapes is an experience you'll never forget, for both women and men. Buy a present this year that actually makes a difference. We wear 20% of our wardrobe, 80% of the time so it's time to detox that wardrobe, piece together new outfits, sell on your old clothes and find the confidence to shop for your perfect colours and shapes." Get in touch with Charlotte at Charlotte Loves, to find out more about her gift packages. Long-term friend and client of HA fitness is the multi-award winning photographer, Julia Boggio. She's one of London’s top family portraiture photographers and is based right here in Wimbledon. Julia says... "2018 will be a year to remember, which is why a gift certificate for family photography would make the perfect present this Christmas." Get in touch with Julia at Boggio Studios, to find out more about her gift packages. Any HA fitness class pass purchased in September/October can used at ALL of our timetabled classes includes Buggyfit, Fit In The Park and our studio sessions (the exception being Tuesday night yoga). £15 for Tuesday night yoga. You can buy your passes online. If you're coming to one of our studio classes, please do drop us a line first to let us know you're coming. We've decided to make life simple. 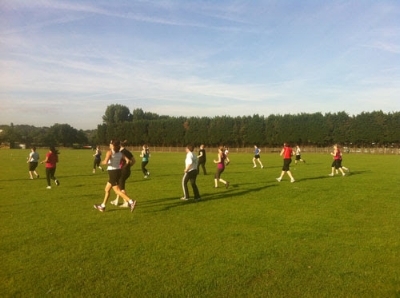 We are swapping our monthly pre-paid bootcamps for the HA fitness class pass system again. This starts from tomorrow! Our HA fitness class passes are really flexible and can be used at any of our outdoor classes, or early morning studio sessions. Scroll up for all of the details! Wimbledon Buggyfit (that's us), APPI (amazing physios in the Village) and Cake & Kale (highly qualified Wimbledon dietitian) are collaborating with Wimbledon & District NCT to bring you this informative evening. Buggyfit - Free Trials Until The End Of June! We're celebrating this lovely weather offering free trials at our Buggyfit classes until the end of June. Come and give it a go! Wimbledon Buggyfit has been coaching SW19 postnatal mums back into shape for over 11 years. And we’ve got pretty good at it! Join us with your little one and you’ll get great results through dynamic and effective workouts, specifically designed for the postnatal woman. We’ll help you to burn off any unwanted excesses as well as strengthen and tone your whole body. All of our classes can be adapted to individual needs or fitness levels. You’ll be encouraged to workout at your own level (whether you’re a complete beginner or experienced athlete). The best thing is, you can bring your baby along with you to enjoy the fresh air and natural surroundings. It’s also a great way to make new friends too! We’re offering free trial sessions until the end of June. Once you’ve tried us out, you're then welcome to either join us on a drop-in basis or purchase one of our class passes (from £6.50 a class), offering you complete flexibility with no joining fee or commitment. Our class passes can be used at any of our classes including our general Fit In The Park sessions. Which one will you try out? Drop us a line to book your free trial! NEW HA fitness Body Blitz 6 week challenge! We've teamed up with Marcelle Dubruel, a Wimbledon nutritional therapist specialising in weight and health management. Marcelle has developed a healthy and tasty eating plan for boosting your metabolism alongside our fitness workouts. Ready to get your summer body sorted? Join our 6 week Body Blitz challenge and shimmy into summer. Want to feel energised, slim and healthy. Would love to shed a few unwanted inches. Are determined to feel “jean” fabulous by the summer. Recognise the winning combination of exercise and balanced eating. Enjoy healthy, family friendly eating for boosting metabolism. Mean to get round to healthier living but life keeps getting in the way! Welcome the support and guidance on just what to do! A large range of options of tried and tested breakfasts, quick lunches, simple dinners and yummy snacks. All questions are welcome, especially the ones that may feel silly! You can put your hand up and ask for help when you need it. There will be support, encouragement and motivation from your nutritional therapist, Marcelle. You'll be able to share your journey with like-minded Body Blitz enthusiasts, including Heather. We'll give lots of guidance to make the challenge work for you in your lifestyle. You receive Extra Facebook Group Bonuses, including Workout Wednesdays and Treat Fridays! We're asking you to do at least 3 workouts a week, every week, for the duration of the 6 week challenge. These can be at an HA fitness class, personal training session, or on your own (you'll get one workout every Wednesday in the Facebook Group!). This exclusive challenge is only available to HA fitness personal training clients, holders of HA fitness class passes and current BootCamp members. The 6 week challenge runs from Monday 24th April 2017 to Sunday 4th June 2017. Payment is required in full by 19th April 2017. Payment secures your place and activates your membership. You will be invited to join the closed HA fitness Body Blitz Facebook group where you will have access to the pre-challenge resources. Sign-up now! Or drop us a line for more info. You'll easily get your workouts done at any of our Buggyfit or Fit In The Park sessions. Check out our full timetable for all the details. I'm very proud to say that the HA fitness team is growing, and we're delighted to have Kelly Lindley join us. 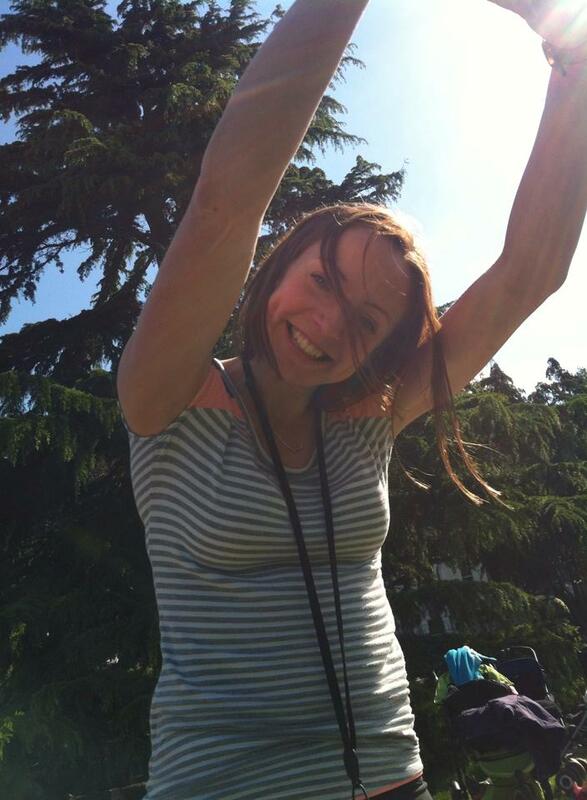 We first met Kelly when she started coming to Buggyfit in Wimbledon Park about 18 months ago. Since then she has re-trained as a Personal Trainer, and we're pleased to say that she is now actually running some of our classes and one-to-one sessions for us. Kelly has a huge passion for all types of fitness, and has a strong focus on weight training and body building. She's lots of fun to be around and will be bringing tons of great new ideas to our sessions. She loves the buzz exercise gives her, and is keen to share that with you all! Not only is she a Personal Trainer, Kelly is also an amazing make-up artist. So if you've got a big day coming up, or would like some top tips, do ask her about how she can help you. It's St Patrick's Day today, and that can only mean one thing. Guinness tonight and it's Mother's Day next weekend! Is Guinness really good for you? Well, a few years ago I wrote this little article about how much iron it contains and how far you have to run to burn-off the calories in one pint. Read it and you might thing twice about having some of the black stuff! On to Mother's Day. I think we can all agree that a healthy mum is a happy mum. And everyone in the house benefits if mum is in a good mood. So why not buy her one of our Gift Vouchers for Mother's Day? Or book that amazing woman in your life onto one of our BootCamps or courses (see below). If you have a new baby in your house (or you know someone that does) we're celebrating Mother's Day by offering Free Trials at all of our Wimbledon Buggyfit classes throughout March. Head over to our blog for all the details. Celebrating 11 Years Of Burpees In Wimbledon! Great night out with the HA fitness team and all of our lovely clients. Many thanks to the Burger Shack in Wimbledon Village for helping us celebrate 11 years in business! I'm sooo excited that it may snow tomorrow! Do we train in the snow? Err YES. It's so much fun (check out the pics from Feb 2015)! Which class will you come to tomorrow? We hope you had a lovely Christmas? Our regular class timetable for Buggyfit and Fit In The Park starts again on 3 January. As you all hopefully know by now, we've got a very flexible class pass system. You can either pay-as-you-go or save a bit of money & buy one of our class passes. Finally, don't forget to put the 2 February in your diary, for the HA fitness night out!